ROME, Aug 9 2016 (IPS) - Two-thirds of the African continent is already desert or dry-lands. But while this vast extension of the second largest continent on Earth after Asia is “vital” for agriculture and food production, nearly three-fourths of it is estimated to be degraded to varying degrees. 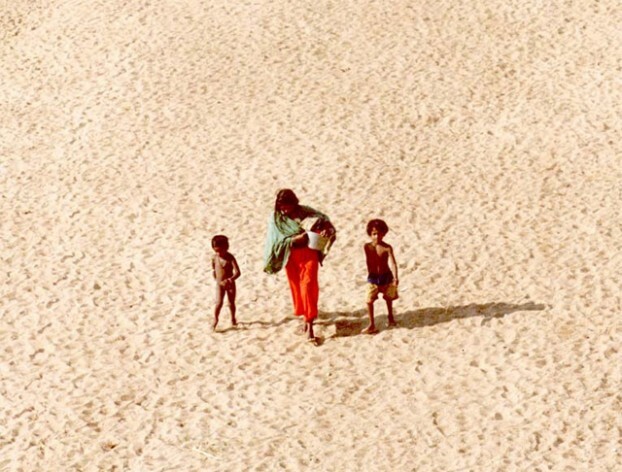 This shocking diagnosis illustrating the current situation of this continent of over 30 million km², home to 1,2 billion human beings living in 54 countries, comes from the top world body dealing with desertification. 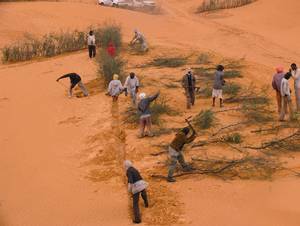 In fact, in its report “Addressing desertification, land degradation and drought in Africa”, the Bonn-based UN Convention to Combat Desertification (UNCCD) explains that the continent is affected by frequent and severe droughts, which have been particularly severe in recent years in the Horn of Africa and the Sahel. “Poverty and difficult socio-economic conditions are widespread, and as a result many people are dependent on natural resources for their livelihoods,” it says. The Rome-based UN Food and Agriculture Organisation (FAO) on 28 July alerted against what it called “race against time in drought-ravaged Southern Africa to ensure 23 million people receive farming support.” As little as just 109 million dollars are urgently required for the provision of seeds and other agricultural inputs and services. FAO reports that its prepared response plan aims to ensure that seeds, fertilisers, tools, and other inputs and services, including livestock support, are provided to smallholder farmers, agro-pastoralists and pastoralists to cope with the devastating impact of an El Niño-induced drought in the region. Africa’s near, medium-term future looks any thing but bright–by 2020, between 75 and 250 million people in Africa are projected to be exposed to increased water stress due to climate change. Also by 2020, in some African countries, yields from rain-fed agriculture could be reduced by up to 50 per cent. The situation is so dire that the African Union (AU) along with the UNCCD and other partners, have organised the Africa Drought Conference in Windhoek, Namibia. The conference, which is expected to bring together around 700 participants, on August 15-19 will focus on ways to halt and continue to prevent the rapid advance of the desert in the continent. Specifically, participants will concentrate their attention on mitigating the impacts of droughts and the development of national drought policies. This event comes at an opportune time, as East and Southern Africa suffer from the worst recorded drought in the past 50 years, induced by El Niño. Namibia appears as one of the most appropriate venues for such an event for several reasons, one of them being the fact that it was ranked 51 out of 120 countries by the 2014 Global Hunger Index, which measures the levels of hunger in the world’s countries. While Namibia has improved, this ranking still indicates “a serious food problem,” says the UN Development Programme (UNDP). Critical water shortages are impacting harvests and the livestock industry in the agricultural sector, which sustains about 70 per cent of the Namibian population. “Continued episodes of drought threaten to unravel the gains made in poverty alleviation, and thus drought is an issue that needs collective response.” In 2015 drought reduced Namibia’s national crop yields to 46 per cent below the sixteen-year average, and as a result, around 370,316 people are estimated to be vulnerable to Hunger in Namibia, UNDP reports. Here, the three top UN agencies dealing with food—FAO, the International Fund for Agriculture Development (IFAD) and the World Food Programme (WFP), informed in their joint World Report on The State of Food Insecurity 2015, that 42.7 per cent of Namibian population was undernourished. Looking beyond Namibia’s borders, humanitarian and development bodies estimate that over 52 million people are food insecure in East and Southern African Countries, and that number could increase. 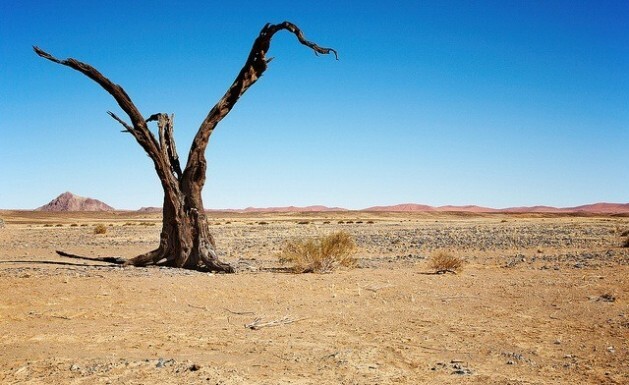 Alarmingly four of the 15 South African Development Community member states have already declared national drought disaster with 2 additional countries having declared partial emergencies. With only a few weeks before land preparation begins for the next main cropping season, some 23 million people in Southern Africa urgently need support to produce enough food to feed themselves and thus avoid being dependent on humanitarian assistance until mid 2018, FAO on 28 July said. Two consecutive seasons of droughts, including the worst in 35 years that occurred this year, have particularly hit vulnerable families in rural areas, as prices of maize and other staple foods have risen, it added. Moreover, widespread crop failure has exacerbated chronic malnutrition in the region. More than 640,000 drought-related livestock deaths have been reported in Botswana, Swaziland, South Africa, Namibia and Zimbabwe alone due to lack of pasture, lack of water and disease outbreaks. FAO urges investments that equip communities with the ability to produce drought-tolerant seed and fodder, along with climate-smart agriculture technologies like conservation agriculture. The aim is to enable rural families to build resilience and prepare for future shocks, especially that more challenges are still to come.